Internet of things is an emerging platform that beneficial for a different range of industry today. This will definitely change the way of the industrial operation. The industry can continuously run the factory floors, machinery, production lines, and others. The industry wants to enhance efficiency and reduce the operational cost. The industrial internet of things acts as a source between industrial equipment and infrastructure. The new technologies like cloud, mobile, edge computing, machine learning and much more are operated under internet of things. This platform comes up with the best application that ensures the quality and performance of the operation. One can watch all the things at any time and anywhere. This is suitable for various industrial organizations like energy and utilities, commercial agriculture, oil and gas, manufacturing and so on. Amazon web service internet of things offers deep and broad functionality that quickly develop the solution to virtually monitor all the devices. This type of service is indulged with artificial intelligence service. This will make the device smarter and works well as per the customer needs. With this service, people can easily known fleet grows and business requirements. The industry can get ready to increase the efficiency and productivity of the business operation. With the help of the service, the users understand how to maintain the fleet and lots of messages under a single roof. You can make use of the secure platform and utilize great productive and ensure business performance. 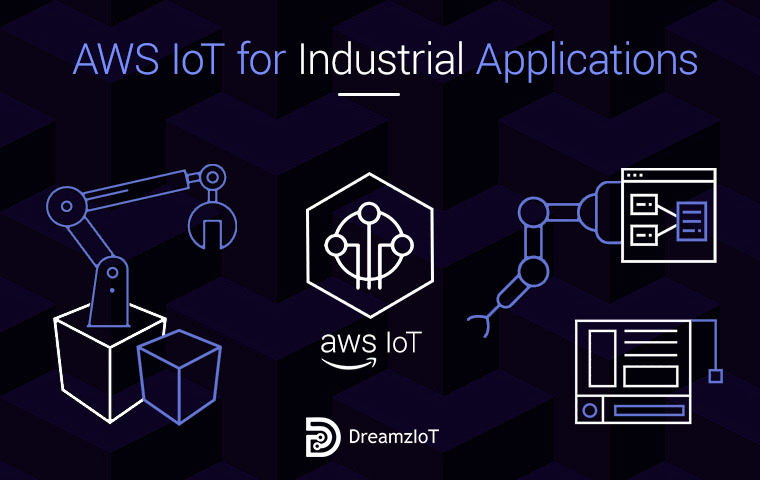 By using AWS IOT for the industrial application, users make the decision correctly with the real-time KPIs. This will help people to gather data and information of the industry and make the structure for the operation. The machine learning is an important process of the industrial sector in the present scenario. You can make sure amazon web service internet of things analytics for the machine learning. When it comes to machine learning, people understand the AWS IOT filter, how to store data, and transform. You may also create and train the machine learning models and integrate it into the industrial environment. You can use the pre-built templates for the machine learning models instead of using processed data. Amazon web service internet of things aids the industry to keep up the device and data in a secure manner. You can secure and safeguard these things with inbuilt device authentication and authorization. You can access the complete control of the device and data. It is advised for people to rapidly check the security policy that available in the device. With the security policy, people easily watch the device fleet and its behaviour. They send alert to people if something happens wrong. You can make the action in a correct manner and improve the security patches to the device fleet. With the service, you can keep track of every action of the fleet. If the device is onboard, you must utilize AWS IOT to create the application with the combined devices. You can gain good revenue in the industry with good production. It is an awesome platform for people today to enhance the productivity and performance in the industrial environment. If the production line goes down, you can immediately make the necessary action and increase the level of productivity. You can never face any risk in revenue. With the service, device gathers data and information of fleet and interacts with each other. Once the connectivity is enabled, the device can rapidly send data to the cloud that required for analytics and processing. People watch the data of the equipment and fleet of devices. You may deploy the device in a different location for making changes in the operation.